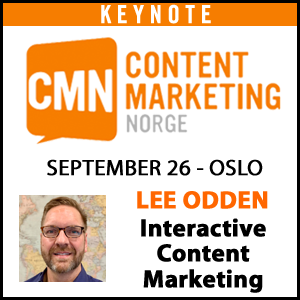 What is the biggest mistake B2B marketers make with content? It’s all about us (the brand). One of the most common and significant mistakes B2B marketers make with content is to create information and media that doesn’t solve a customer information problem. Additionally, content that is presented out of context and unoptimized for customer experience can result in very poor performance. The reason for this mistake? A brand or marketer’s ego-centric view of the world. Whether it’s writing branded content to editorialize self-promotion or sticking only to topics meant to inspire end of funnel conversions, simply creating more content isn’t the answer. And yet over 90% of B2B marketers are doing exactly that. From James: Today’s post is the fourth and final in a series of articles on social media marketing – all part of a contest within TopRank Marketing for a chance to attend Social Media Marketing World. Watch for live posts from the winner of the contest March 25 -28. Boom! Making an impact and making it quickly is a primary goal of social media. You only have a few seconds to grab ahold of the attention of your followers while they’re scrolling through their stream, so impact is important. 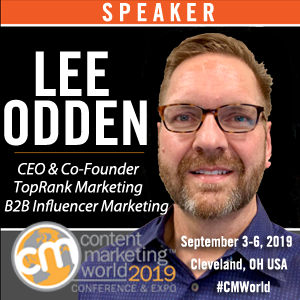 From James: Today’s post is the third in a series of four articles on social media marketing – all part of a contest within TopRank Marketing for a chance to attend Social Media Marketing World. Watch for the next post in the series on how to create impact with Instagram. While many businesses ban social networks such as Facebook, Twitter, and YouTube at work, there are some unconventional social networks that may actually increase productivity, especially for those in B2B. A couple networks really pop out in this regard. Cyber Dust and Yo App are fringe startup social apps that, while gaining dubious fame for their apparent uselessness, have grown to have very practical utility. A lot of presentations at this week’s Content2Conversion Conference touched on theories and tactics related to creating customer focused narratives in B2B content. While some marketers might think of incorporating storytelling in their B2B content marketing as a gamble, Laura Ramos of Forrester Research says it’s time to make that gamble. 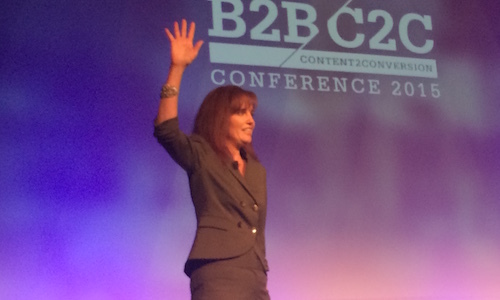 According to Laura, it’s time to double down on the one key element missing in most B2B content: Storytelling. B2B Marketing lacks enthusiasm and capability to use storytelling to connect with buyers, Laura said. It’s time to tell stories and it’s time to understand the power that storytelling has on your audience. Celia Brown and Amy Hatch came to brand journalism from different directions: One marketing and the other journalism. 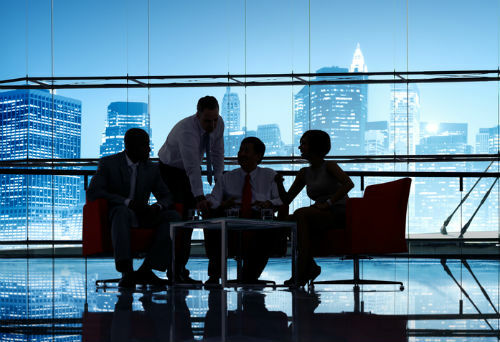 It’s the perfect mix for setting up a social newsroom, as the two have demonstrated at SAP. The two skill sets that each woman brought to SAP’s Social Newsroom dovetail perfectly. Amy, who sees the reporter side, said reporters love to get the big scoop. 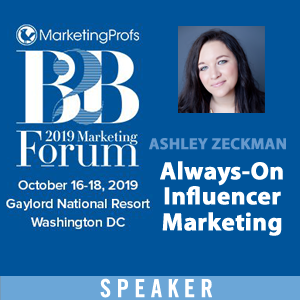 With a reporter on staff in the marketing department, content began to offer a transparency that wasn’t always evident, Amy said, in marketing content. It’s a big task to move an 80,000 employee organization on to a completely different mode of marketing thought. But that’s what Karen Thomas-Smith and her team at Optum has done, and they did it in the sometimes slow-to-adapt industry of healthcare. Karen moved Optum — a B2B healthcare software and services organization — from traditional marketing to content-led marketing and thought leadership. 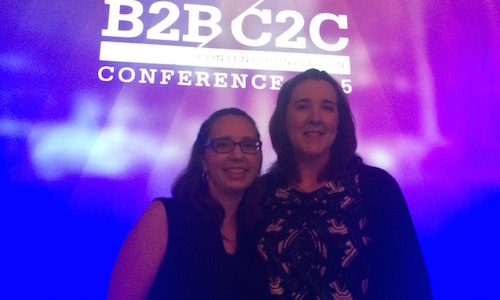 Though she was met with resistance at first, she has since transformed Optum’s marketing for the better, as she presented at the B2B C2C conference this week. Optum’s marketing efforts were once what Karen called “one and done” marketing, meaning trade shows, brochures and other traditional efforts. The focus was on the big sale. If a brochure were a first date, it closed with a call to action that asked for marriage. 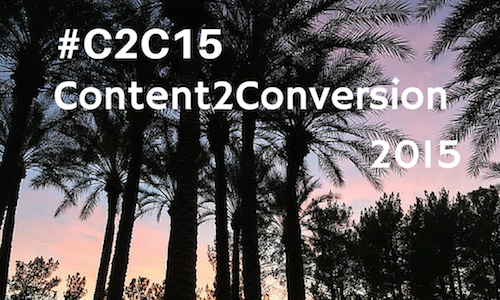 Today through Thursday of this week, you’ll see posts on TopRank Blog from the B2B Content to Conversion Conference in sunny Scottsdale, Arizona. 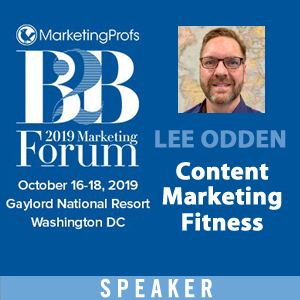 I’ll be live-blogging a few sessions from the conference, including our CEO Lee Odden’s talk “How to Create a Competitive Advantage by Crowdsourcing Marketing Content with Influencers.” Lee is speaking at 9:45 a.m. on Tuesday. If you have any questions on his presentation, be sure to let us know. For many of us in the Midwest, as well as our friends out on the East Coast, it’s a darn good time to be heading to Scottsdale. Areas like Boston have seen some of the worst snow on record and back home in Minnesota it has been consistently below freezing for days on end.